Oswego Minor Hockey Association and Arc of Oswego County invite local families to the 8th annual “Skate and Slide” event. 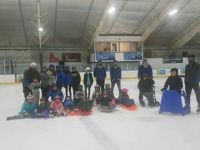 Skate and Slide is a fun, free opportunity for children with disabilities to safely explore the ice with their families and local hockey volunteers. The event is open to children and their families on Saturday, March 17, 2018 from 10:00 a.m. to 12:00 p.m. at Fort Ontario Rink (Crisafulli Rink) in Oswego, NY. People of ALL abilities, especially those with developmental, physical, sensory, and cognitive disabilities are encouraged to participate in this accessible time on the ice. Families may sometimes hesitate to bring their children to a public place such as an ice rink because of accessibility issues, or fearing that a child’s inability to skate may disrupt the experience for other attendees. However, with this special event, parents and siblings can enjoy a fun time on the ice without worry. Volunteer hockey players will be available to guide children around the ice, whether they choose to skate, slide or simply walk or roll. Ice skating can be a fun means of physical activity and exercise for any one of any ability. Skating is a life-long activity, done individually, on a team or with family and friends. Skating has many benefits such as being physically active, interacting with others and building better self-esteem while learning new skills. The hockey rink concession stand will be open to purchase snacks, and children with special dietary needs may bring their own snacks. Ice skates are not required; snow boots and cold weather apparel are suggested. All children are required to wear a helmet, such as a bike helmet, while on the ice. A limited number of skates and helmets will be available on a first-come, first-served basis. To participate in the event, interested families should register by calling Kristen DeSantis at 598-6007 x105 by March 16, 2018. • What: Skate and Slide is an opportunity to explore the ice at the hockey rink. Volunteer hockey players will be available to walk/skate/pull sleds with children around the ice. • Time: 10:00 a.m. – 12:00 p.m.
• Who: Any child and their families. Ages 3 and up. Accommodations are available for any children with special needs. ### Arc of Oswego County is a private, not-for-profit organization which has been providing programs and services to children and seniors with disabilities since 1953. Services include recreational and respite activities, senior day habilitation programs, Medicaid service coordination, Supporting Families & Children program, guardianship and planning assistance, and more. 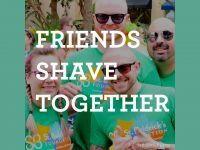 Its mission is to be a leader in the field of developmental disabilities, committed to meeting the needs of individual growth, productivity, and independence through education, advocacy, and increased community acceptance and participation. 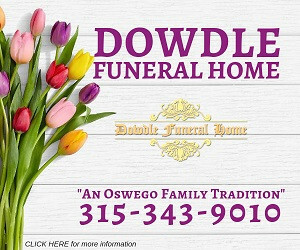 Its sister agency, Oswego Industries, Inc., provides services to adults with disabilities: together creating a comprehensive support system for Oswego County residents with disabilities. Find more information online at www.arcofoswegocounty.org.